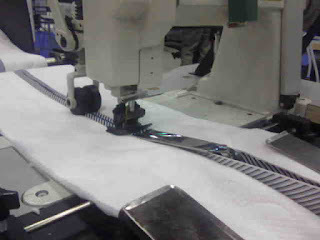 The PZM-1500 zipper system (part of the BMS-1500 machine series) can sew zippers into your mattress border. 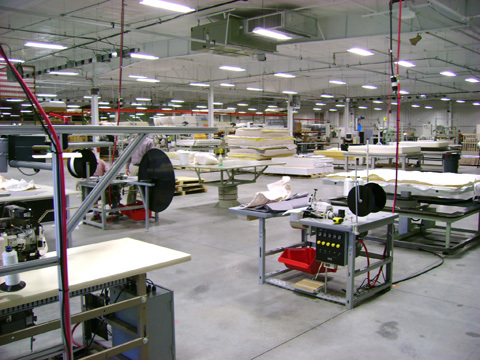 You can create many new opportunities for your mattress manufacturing business if you start with a PZM-1500 and then simply acquire additional fixtures as needed to perform other operations, such as adding decorative secondary materials to the border or combining different tickings for stylish borders. As your business evolves, this machine can adapt to changing needs. This is one piece of machinery whose value can grow over time, rather than depreciate! Contact your local GSG rep to find out more about this BMS-1500 system and all the benefits it can provide you. The BMS-1500: it's versatile, it's affordable, it's reliable... it's just what you need to get ahead of the game! The mattress industry has seen many changes recently. 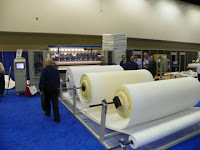 Porter International has developed a new machine strategy that can easily adapt to changes as your needs evolve. 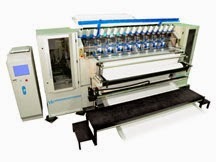 The new Border Modular System machine can be adapted to create four different mattress border styles. 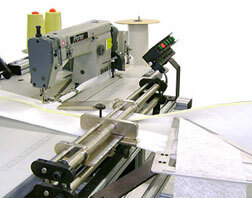 With simple, affordable modifications the machine can produce borders with zippers, joined varying materials, Cinch-loc gussets or applied ribbon styles. New BMS-1500 border system shown here in PJM-1500 set-up. Join varying material types in roll-to-roll fashion with this equipment. Buy one machine now and purchase other modifications as you need it in the future instead of buying entirely new machines. This gives you an affordable option for current and future needs. One thing that never changes is new innovations from GSG and the BMS-1500 system is one more example! These days, time is our most valuable commodity in the mattress industry. "If you only there were more hours in a day..."
"If I just had more time I could get more done..."
"I could land that contract if I just had more time to get the work done..."
If you can't add more hours to your day, you need to add more production in the hours you have available. 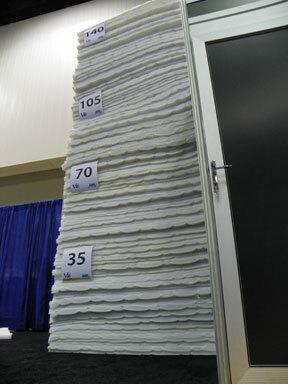 This stack of 140 quilted mattress panels refelects a typical daily production increase using the Gribetz V16™ quilter*. 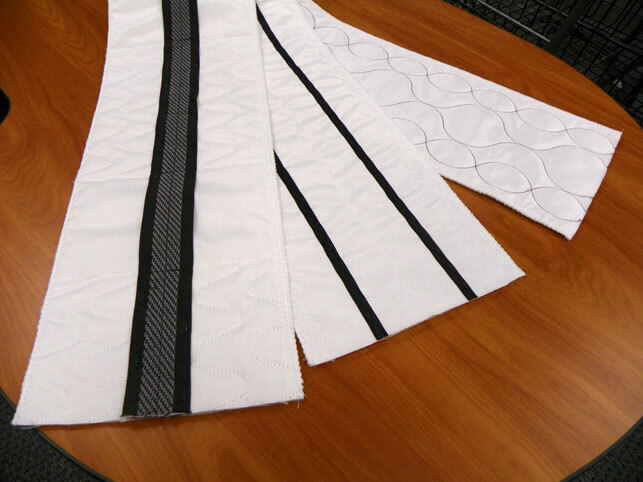 Quilting Tack & Jump®or continuous patterns at 1600 RPM can help you produce more in the same time frame. 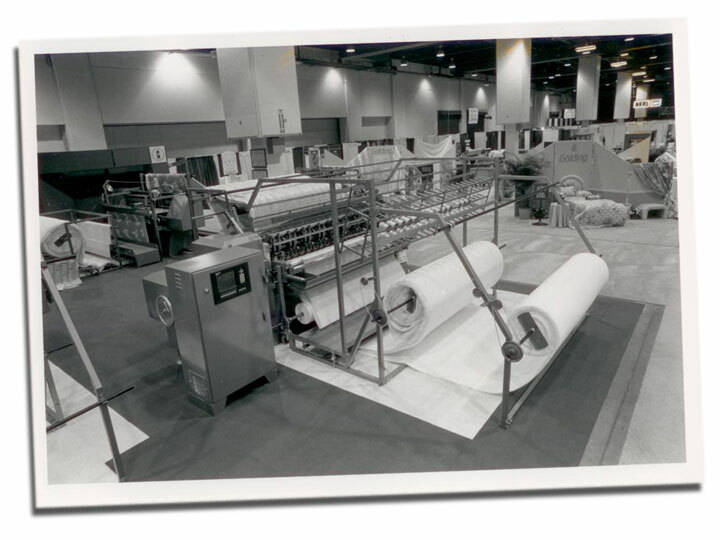 Mattress production starts with the panel quilting, so start getting more out of your production with a V16™. * Listed daily production increase is based on common industry standards. Actual results may vary. See your GSG representative for full details. It's hipper with a zipper! The big deal in the mattress industry right now is zipper bed construction. It's not as BIG as this 10 foot long zipper in the GSG booth at ISPA Expo, but it is huge in the industry. The zipper machine selection from GSG is huge too. We are showing four different zipper machines in the booth to accomodate a variety of mattress construction methods. 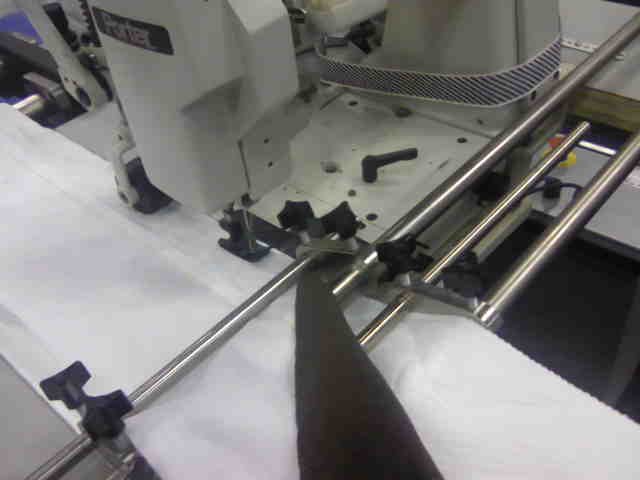 Take a look at our zipper machine page at http://www.gsgcompanies.com/ to see more. Now that's what I'm talking about, US economy! The game is changing... how's your product line-up? Are you ready for growth or still on the bench waiting to see what happens in the next quarter? Even during the slowest periods of economic growth, GSG has consistently pursued new innovation so you'll be ready to take advantage of the latest market trend that will get your company ahead. to see what innovation looks like. Visit our web page to learn how this can be your game-changer! You'll find new equipment ready to go so you can take full advantage of current market conditions and more innovative technology based on trends where the market will be in a few years from now. If you have any hunch these economists' optimism may be right, you need to see the new GSG equipment at ISPA EXPO booth 2433. Allow me to remind you what they said, "... stronger hiring leads to more consumer spending, which leads to even more... "
Manufacturing and innovation go hand in hand. Manufacturing without innovation is "me too" manufacturing. 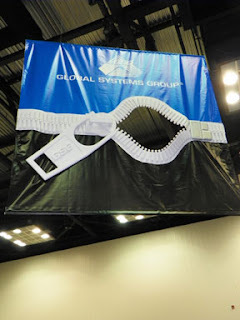 Global Systems Group companies like Gribetz International, Porter International and Gateway Systems are leaders in the field of mattress machinery manufacturing because we work cooperatively between our customers, our own R&D departments and our engineers. Best of all - we pour all that knowledge into machines we manufacture under our own roof! GSG has a long history of building machinery that mattress manufacturers need because we are right in the thick of mattress manufacturing. This leads to intuitive thinking that produces new innovation for manufacturers. 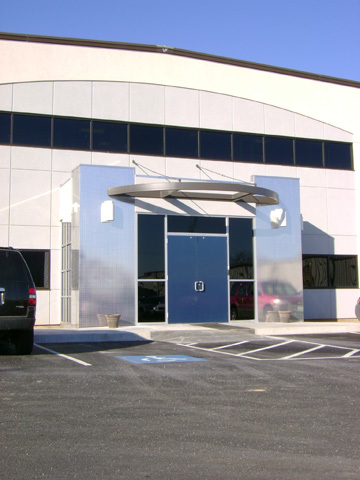 The Idea Center is crucial to our R&D development. It's no wonder our sewing lab looks like a factory floor - that's our inspiration! 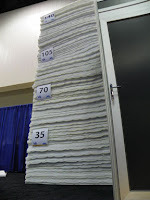 Our newest innovations inspired by manufacturers like you will be on display at ISPA EXPO 2012. Come by our booth, 2433, to see the next-generation mattress equipment that will be on mattress factory floors like yours soon. As insurance coverage falters, you may find greater opportunities for healthy sleep solutions through other bedding and sleep aid products. Sleep apnea is a serious health issue, and for some, there are no other solutions but CPAP machines and other medical treatments. But if insurance companies make these treatments more difficult to obtain, creative health specialists may turn to other bedding products to help relieve some sleep disorders. New materials, new bed designs and new ideas could yield new opportunities for you. You never know where your next opportunity may come from. To get ahead of the game, you need flexibility in your business planning and your manufacturing equipment. Porter FPT-1000 is designed for flexible use. Join a variety of materials on this very adaptable border machine. Global Systems Group designs mattress machines with technology to adapt for your next opportunity. See the newest innovations from GSG at ISPA EXPO booth 2433. If you feel it's time for some improved changes, you're not alone. Global Systems Group is never content with the status quo. That's why we strive to develop technology to give you new advantages in the mattress market. The Gribetz B45 quilter is a great example! 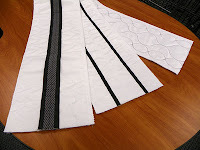 In 2011, we showed you how to create creative quilted stitching on your mattress borders. Thank you in advance for the ginormous patience you must have to read through the trickeration of this amazing sentence aimed to ease our shared sacrifice as we strive to win the future through acceptance of the new normal we know as a baby bump growing in the pet parent that will occupy our man cave - and please, no blowback! There - I combined all the "banished" words into one sentence and got them all out of my system at once! We'll combine all our newest innovations in Booth 2433 at ISPA EXPO in March. Be sure to visit us there! It's crunch time in the mattress industry. To get ahead in this game, you need experience you can count on, a touch of creativity and gutsy decision-making. Sometimes you need a whole new strategy - new tools, new technology – a unique approach. That’s a game-changer! from 270 to only 16 is a game changer! Download the V16 quilting production calculator here to see how much it can change your panel production. Global Systems Group companies have been developing game-changing mattress equipment for decades. The experience, innovative technology and focused vision of GSG can get you ahead of the game. Visit us in booth 2433 at ISPA EXPO, March 14-17 to see the V16 and so much more! * Production estimates are based on reasonable industry standards. Some results may vary. Contact your GSG sales representative for full details.